The perfume you wear becomes an integral part of your identity. 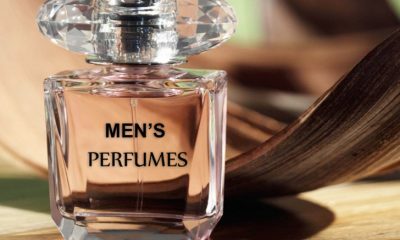 That’s why many women choose one scent to wear on a daily basis for months or even years on end. Once you wear a certain perfume for long enough, you don’t feel complete when you’re not wearing it. Your coworkers, friends, and family members might even start to associate you with your regular fragrance. Choosing your signature scent can be a challenge. 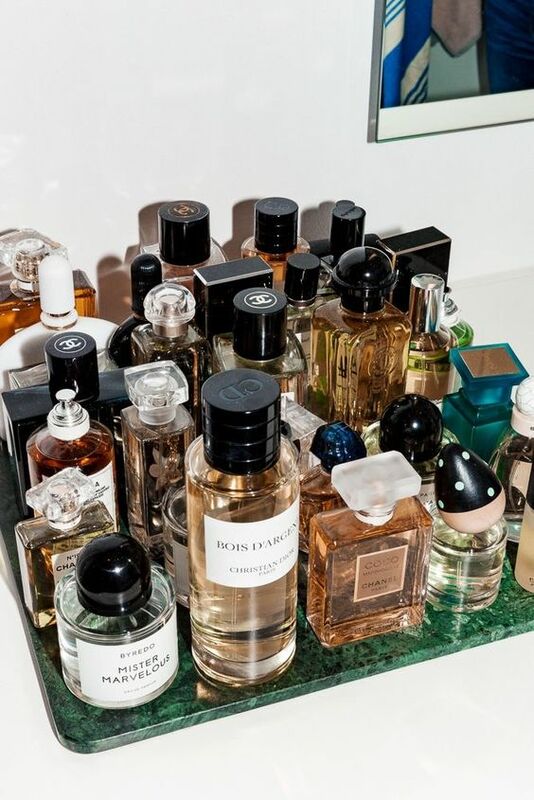 The sheer number of different scents on the perfume market is incredibly overwhelming and figuring out your fragrance personality usually requires some trial and error. 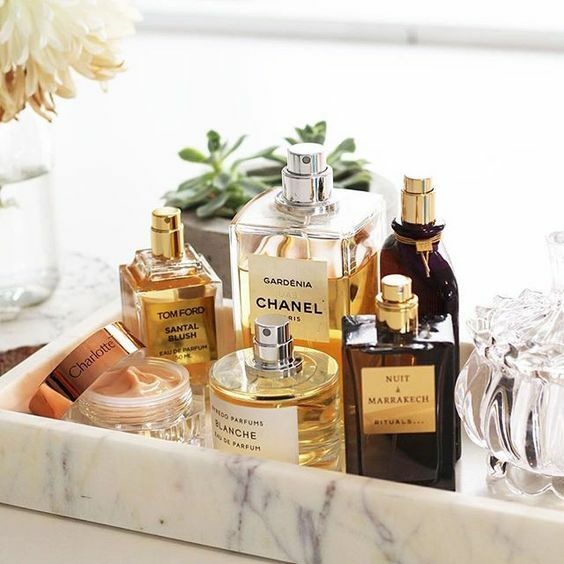 Your signature scent should make you feel beautiful and complete your look every day. Making the effort to pick the perfect perfume for you is well worth it for the confidence boost the right fragrance gives you. 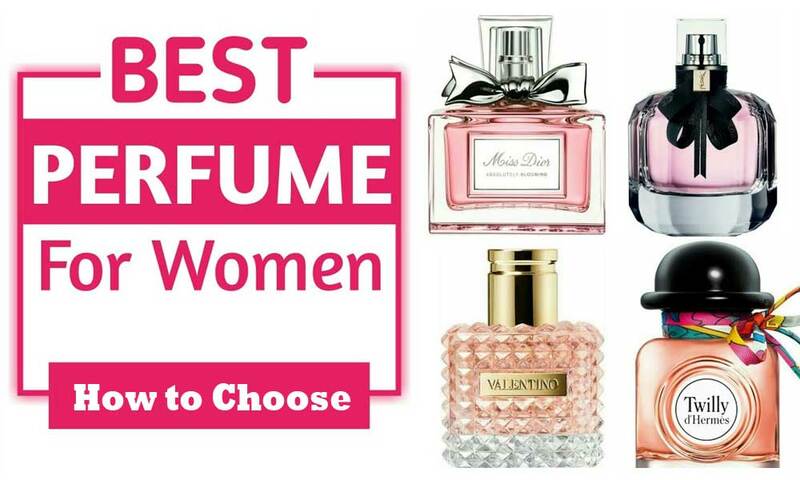 An easy way to narrow down your fragrance options is to decide on a category of scents. Fragrances are divided into different subcategories based on their notes. If you can settle on one of these categories, picking out a single scent becomes a much less overwhelming task. Floral fragrances are sweet, feminine, and familiar. Earthy scents include woody and spicy notes to create a calming, natural blend. 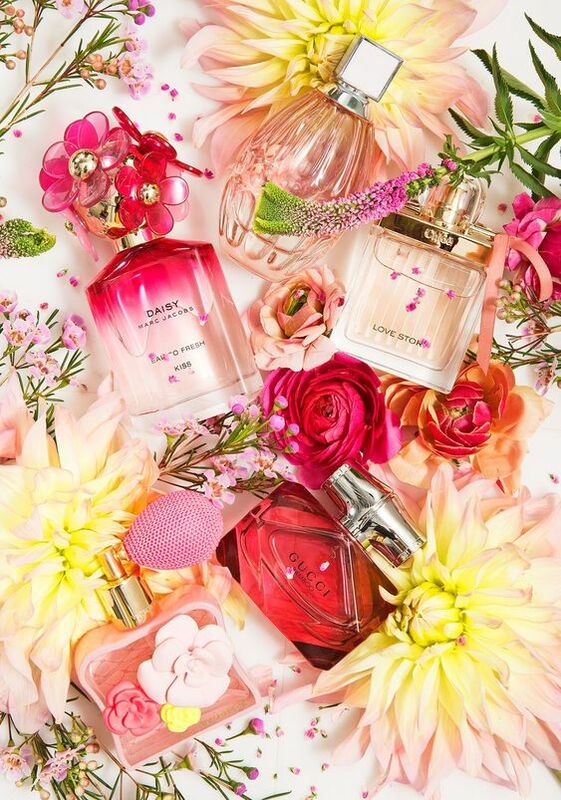 Fruity perfumes are fun, flirty, and joyful. Fresh scents often include citrus, mint, and aquatic notes that energize and invigorate. These common categories help organize the countless perfumes on the market at any given time and simplify the process of choosing the right scent for you. The category you choose depends entirely on your personality and style preferences. Perfumes have a different scent on different people. Sometimes this difference is subtle, but it can be quite significant depending on the scent and the person wearing it. When you spray perfume on your skin, its molecules interact with the natural hormones and pheromones on your skin. This interaction warps the scent of the perfume and creates a fragrance subtly unique to you. While the chemistry behind wearing perfume can help you differentiate your signature scent from that of someone else wearing the same perfume, it also means that you shouldn’t trust the way a fragrance smells when it is not on your skin. If you love the way a certain scent smell on your friend or on a test strip, alwaystry it out for yourself before you make a final decision. When you’re browsing through perfumes, keep in mind that your nose doesn’t always tell you the truth. Once you smell multiple perfumes in a short period of time or wear a single scent all day, your sense of smell isn’t the most reliable when it comes to detecting fragrance. If you’re smelling many different perfumes in a row, fill a small glass with whole coffee beans or coffee grounds. Sniff the coffee between smelling each scent to clear your nostrils and keep your nose from getting overwhelmed and previous fragrances from warping your sense of smell. When you test out a new fragrance, you probably won’t be able to smell it on yourself after an hour or so because your nose gets used to the scent. Rather than relying on your own perception, ask friends throughout the day if they can still detect the fragrance on your body to get a more accurate idea of the perfume’s longevity. 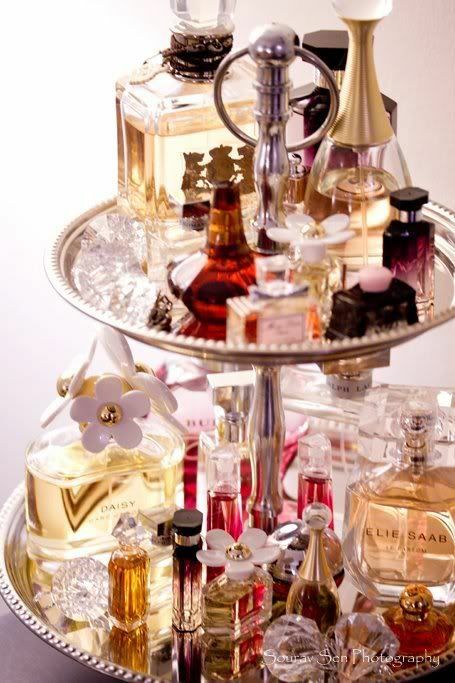 Perfumes come in multiple different concentrations: eau de cologne, eau de toilette, eau de perfume, and perfume (parfum). The concentration you choose determines the intensity and longevity of your fragrance. Eau de cologne is the lightest fragrance concentration. It only lasts for an hour or two on your skin before fading away. Eau de toilette is slightly stronger than eau de cologne, but still requires several applications to last through the day. 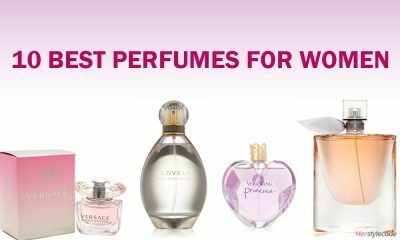 Most higher-end perfume formulas are eau de parfum, which lasts about six hours, or parfum, which lasts all day without fading. Understanding fragrance concentrations is vital for choosing a fragrance formula that isn’t too overpowering but doesn’t fade too quickly. The way you apply your perfume has a significant impact on how a certain fragrance smells and how long it lasts. Spray your fragrance on your skin right after you shower, while your damp skin is able to absorb it more easily and keep it from fading. The best place to apply perfume is to your pulse points–the insides of your wrists and elbows, behind your ear, and at the bottom of your throat. Your pulse points are some of the warmest areas of your skin. This warmth intensifies the scent of your perfume and helps it last longer. Many popular fragrances are formulated by celebrities and marketed with their name attached–think Kim Kardashian’s KKW fragrances. It’s tempting to let the celebrity brand associated with a certain fragrance sway you toward a specific scent, but ignoring celebrity endorsements usually plays out better for you in the long run. 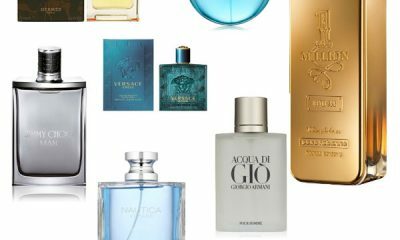 Even if you really admire a certain celebrity and their personal style, the long lasting fragrances they endorse might not necessarily reflect that style and personality well. No one can tell whose name is attached to the fragrance you’re wearing based on scent alone, so always consider what a perfume itself speaks to you over which celebrity endorses it. How you express yourself through your everyday style is usually a great indicator of your personality. 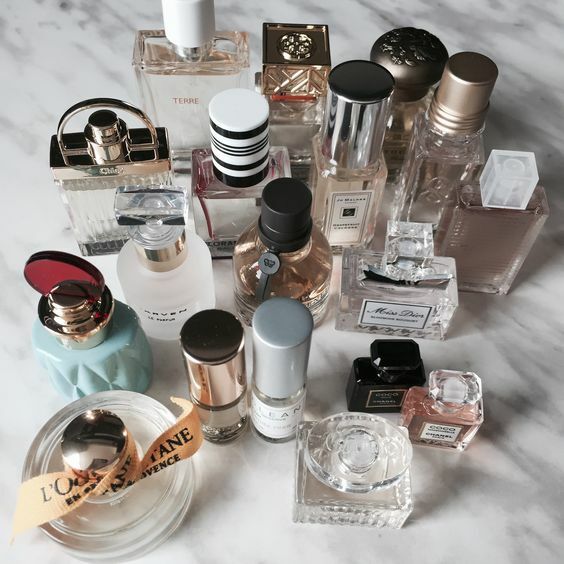 Use the clothes you wear, the accessories you use, your hairstyle, and your everyday makeup look to guide you in your perfume selection process to choose a fragrance that matches your unique identity. Your perfume should act as the finishing touch for all of your looks. When you sniff a new fragrance, think about whether it complements your everyday clothes, jewelry, hairstyle, makeup, etc. 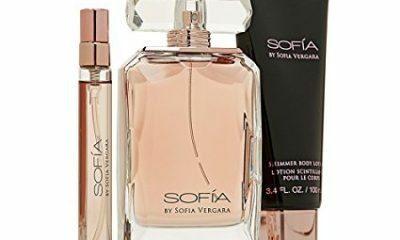 Your signature scent should fit in with the rest of the looks you wear on a regular basis to help you better express your unique style. If your current fragrance doesn’t make you feel confident and glamorous, don’t settle. Remember that you don’t have to stick with one signature scent for the rest of your life. Don’t be afraid to branch out and experiment with new fragrances that aren’t familiar to you. You might just discover a new scent that helps you express your true self like no other.